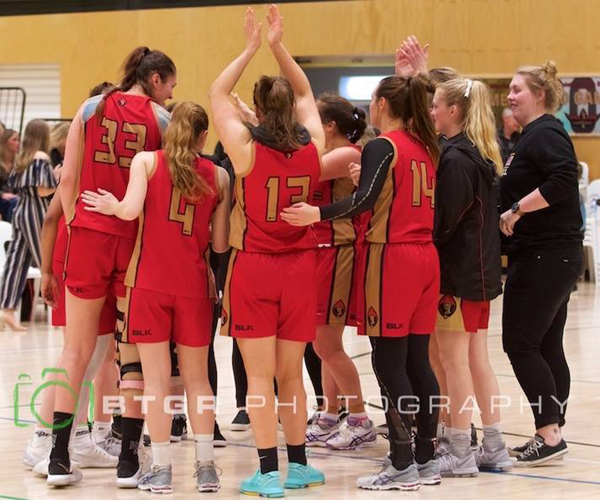 JUST six months after becoming a mother for the second time, Rebecca Benson has started 2019 in tremendous form with Perry Lakes Hawks as she approaches SBL game 200 and continues to chase that elusive championship. 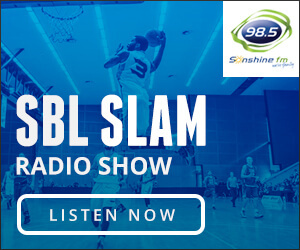 Benson’s SBL career began in 2002 at the Lakeside Lightning where as a 16-year-old she reached the only Grand Final of her career, ironically in a loss to the Perry Lakes Hawks who she’ll now be playing for when she celebrates her 200th game on Friday night against the Mandurah Magic. It’s been quite the ride ever since for Benson. There was a year with the Swan City Mustangs, one at the Stirling Senators, one at her local Kalamunda Eastern Suns and then three with the Joondalup Wolves. She has spent the past three years with the Perth Redbacks, two as a player and then as assistant coach in 2018 while pregnant but there’s plenty more to the Benson, previously Mercer, story. Benson went to college at Montana State and played in the WNBL with the Perth Lynx, Townsville Fire and Dandenong Rangers along with spending time in the SEABL with the Sandringham Sabres and Frankston Blues. 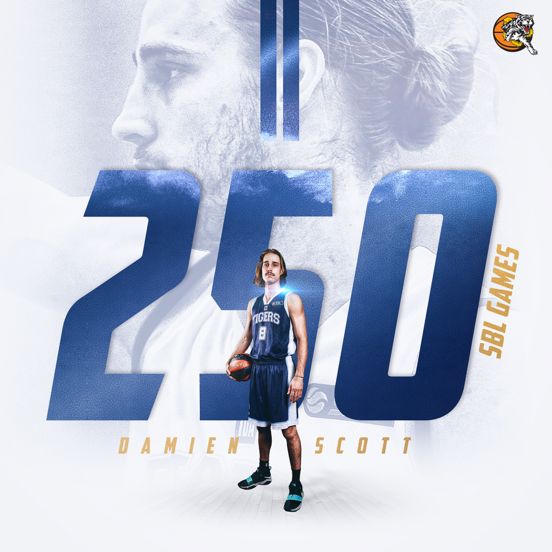 Add that in with now also being a mother to a son and daughter, and it’s been quite the journey to 200 SBL games from that 2002 debut. Throughout 199 games in the SBL, she has always been quite the offensive threat averaging 14.8 points while shooting at 33.5 per cent from three-point range and 37.0 per cent from the field. The one glaring omission from her career remains that championship and it’s that desire to taste the ultimate success that is driving her even more than any celebrations over the 200-game milestone. “That drive is huge and that’s why I’m really happy to be at Perry Lakes with Doccy because she has that same passion,” Benson said. “She just won one in 2017 but it’s a relentless passion for her and for me, it’s in the back of my mind every single time I train because as the years tick on I know this might be the last time that I have a chance at this. It’s something that is a massive motivator for me at the moment. “That’s why we get on the court and rip each other to shreds because the ultimate goal is to give ourselves a really good shot at it. I’m just dying to win one. I’ve been so close to being in the Grand Final so many times and have just missed out. Benson might not have played since the Perth Redbacks lost to the Magic in the quarter finals of 2017 and had her second baby in between before the start of the 2019 season, but her first year with Perry Lakes has started tremendously. 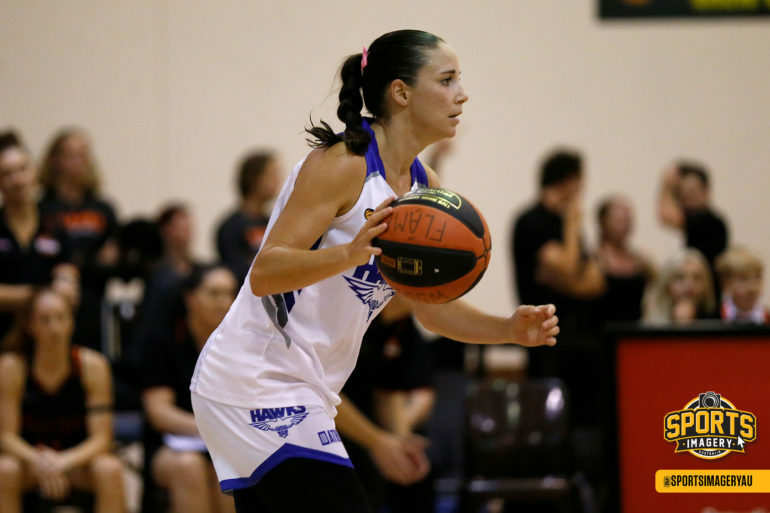 Looking strong, healthy and fit, Benson is putting up 20.3 points, 4.0 rebounds and 3.0 assists over her opening three games with the Hawks – all against strong opponents in the Wolves, Flames and Redbacks. She didn’t know what to expect both in terms of joining the Hawks and from herself coming off having a baby given the difficulties almost five years ago. But she couldn’t be happier with how things have started. “I have enjoyed the start. I was super nervous at the Blitz, I was totally feeling pretty sick and worried about it, but I feel better even though I still have a long way to go,” Benson said. “Defensively I’m still a bit slow but being only six months off having a baby with only four months of training, you kind of expect to have a bit more to work on. So hopefully I can fix those little things and get a little bit better for us. “After the first baby the recovery wasn’t so great and I didn’t do it very well, so I struggled a bit when I first came back. But this time I think I’ve had the time to do it right and I got the body right, and I’m really motivated to get back up to a good level. “I had heaps of doubts about doing it though. Every year I get older and there’s younger ones coming through as well and you wonder if you can keep up with them. It’s been a strange experience to all of a sudden be in the older group of players. Benson might have had a career spanning 17 years and while you would never call being a mother of two children under five as not being a full-time job, what she is enjoying right now is the chance to not have to juggle work as well. She has no doubt that has contributed to the shape she is in and the form she’s displaying early in 2019. “Being on maternity leave at the moment, I’ve got the chance for the first time really in my life to train without having to fit it in around work. I’ve never had that opportunity before at 32, nearly 33 years of age,” she said. “I think that’s why I’m feeling pretty good at the moment because I’m able to do it right for the first time, which is a bit sad in a way and you wish you had this opportunity when I was a bit younger. 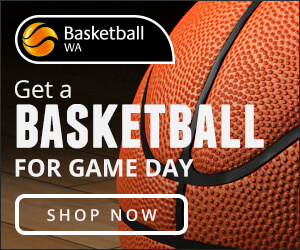 Now when she thinks of reaching 200 games in the SBL this Friday night at Bendat Basketball Centre against the Mandurah Magic, Benson isn’t quite sure what to make of it given the entirety of her basketball journey. But it does provide the chance to reflect on what has been one hell of a journey. 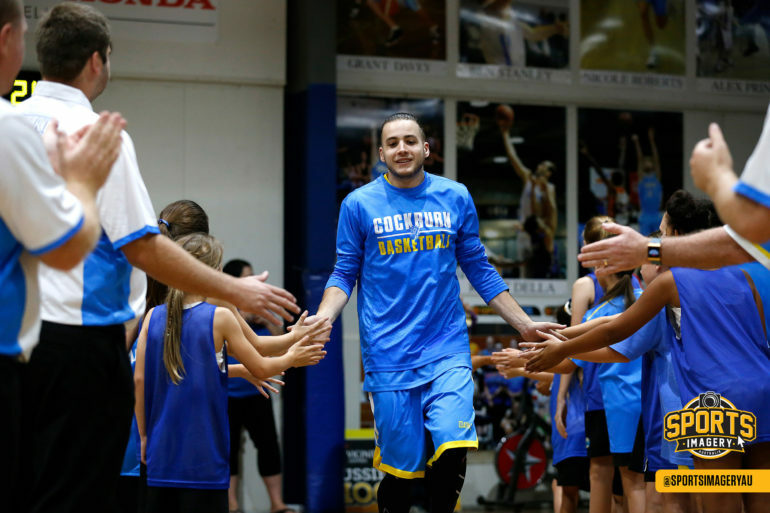 “It’s a bit of a strange feeling because I feel like I’ve been around a long time and that I should have a lot more games, but going away to college, playing SEABL for a couple of years and now having two children has made it a bit of a strange journey,” Benson said. “But it’s a really nice feeling to reach 200 because when you sit down and think about it, it is a little bit of an achievement. It really does give me a chance to reflect. I never really had a club that I grew up with because I didn’t start playing until I was 13 or 14. “I’m from Kalamunda so we never had SBL or a good WABL program back then to filter through so I never really had a home. I have played for quite a few teams and sometimes it makes me squirm to think of that, but the people I’ve played with and have met have been incredible. “Every time I go to play a game, I’ve got a mate on the other team to catch up with and that’s been one of the best thing about my journey for the people we’ve got to know and become close with. While she didn’t play in 2018, Benson had one of the most enjoyable seasons of her career by being part of that Redbacks team coached by Charles Nix. She enjoyed it so much that she told Nix she wanted desperately to play under him when she returned after giving birth, but when he signed with the Wolfpack for 2019 it meant the travel time would simply be too much. 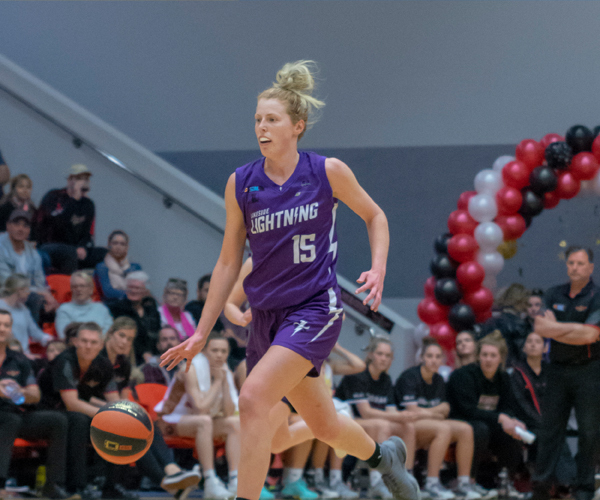 But when an old teammate Nikita Martin joined Perry Lakes, that stood out as a real prospect for Benson and once she explored that more with coach Deanna Smith, it seemed like an ideal fit to go and play for someone she spent so much of her career in parallel with. “Coaching with Charles Nix last year was a really great experience and I told him how much I wanted to play for him on the back of that,” Benson said. “But Joondalup is just too far, which is why we left in the first place so with the two babies I just couldn’t be going that far a couple of times a week. So I spoke to Nikita Martin who had signed with Perry Lakes and I had enjoyed playing with her, and I asked her what she thought. Then I spoke to Doccy and we went from there. I’m really loving it there now. “It’s quite good because we think about the game quite similarly. We think along the same lines and there’s a lot of times she’ll ask me about something and I’ll tell her what I think, and she’ll be agreeing with what I thought. Benson has enjoyed her experience at every club she’s played at for one way or another, but because of the fact that’s where her relationship began with now husband Ryan, it’s hard to not have a significant soft spot for the Wolfpack along with the Redbacks where she’s been the past three years. “At every club I’ve had a great experience in some part for different reasons, whether it’s the basketball or friendships. Joondalup was definitely a home for my husband and I because he was coaching and playing there when I met him, which is why we stopped there,” she said. “If we lived a bit closer and work was closer to Joondalup, we probably wouldn’t have ever left. But the family we created last year with that group of girls at Redbacks was off the chain. The Benson story is about much more than basketball though. Life as a mother of two is everything and more she hoped it would be, while she’ll forever be thankful of the support from Ryan and her family. While she is loving the time at home with the kids and to put in plenty of time on the court, she can’t wait to get back to her other set of children either. “My son is four and-a-half and he was a really good baby, and is a lovely little kid. My daughter is now even happier and friendlier, and she’s a nice little baby so I’ve been pretty blessed,” Benson said. “I’ve been so blessed with my husband and without him I wouldn’t be able to have any basketball involvement at all. He sits at home three to four nights a week by himself looking after the kids and that’s been huge with me. “Then my mum and sister come over to help when they can too so I have amazing support as well. But I’m a teacher as well so I miss my kids at school, they are like my children as well. I’ll get back to a couple of days a week soon to get back into the swing of it.